While the implementation of the Affordable Care Act has, to some degree, enabled Americans to more easily obtain insurance benefits without going through their workplace, employment-based insurance is the way in which the vast majority of Americans access coverage. However, if given the option, consumers would like to have greater say in what these perks do for them on a personal level, a new poll reveals. Spanning all age groups and generations - from millennials to baby boomers - nearly three-quarters of Americans want insurance benefits that are more customized to their preferences and lifestyle habits, according to a recent survey conducted by LIMRA, a professional resource and research organization. Workplace benefits come in a variety of forms, including of course health insurance, retirement planning, paid time off from work as well as life insurance packages. In fact, nearly two-thirds of respondents pointed to life insurance as their most preferred benefit, more so than disability coverage, legal services, financial wellness or paid extended leaves of absence for personal reasons. Perhaps unsurprisingly, given the different stages of life today's employees are in, what benefits workers value most differs depending on their generation. For example, millennials tend to prefer educational and paid leave perks more so than their older peers, largely because they're raising families and still feeling the effects of college debt, the poll found. Meanwhile, Generation X workers lean in favor of financial planning and wellness benefits predominantly, thanks to being more established and earning a higher wage than when they were younger when new in the working world. Employees today wants more customized benefits that align with their lifestyle, according to a recent LIMRA poll. Michael Ericson, an analyst with the LIMRA Secure Retirement Institute, noted that poll after poll shows employers try to keep workers satisfied by providing them with opportunities for advancement as well as coverage options that they may not be able to get as easily, if at all, elsewhere. "With four generations in the workplace, designing an attractive benefits package for all employees is challenging," Ericson explained. "As a result, employers are considering offering their employees the ability to control how they allocate their allotted money across their benefits." Indeed, in a poll done this time last year by Robert Half Management, over half of company managers - 56 percent - indicated they were more amenable to negotiating non-monetary benefits than they were 12 months earlier. "It's important for businesses to ask employees what perks they value most and clearly promote the firm's offerings," advised Paul McDonald, Robert Half senior executive director. "Many companies undersell these benefits." Retirement planning is a hallmark of many employer-based benefit packages. Today, almost 95 percent of employers make post-career preparation products and services available to their staff, according to a poll done by the Society for Human Resource Management. 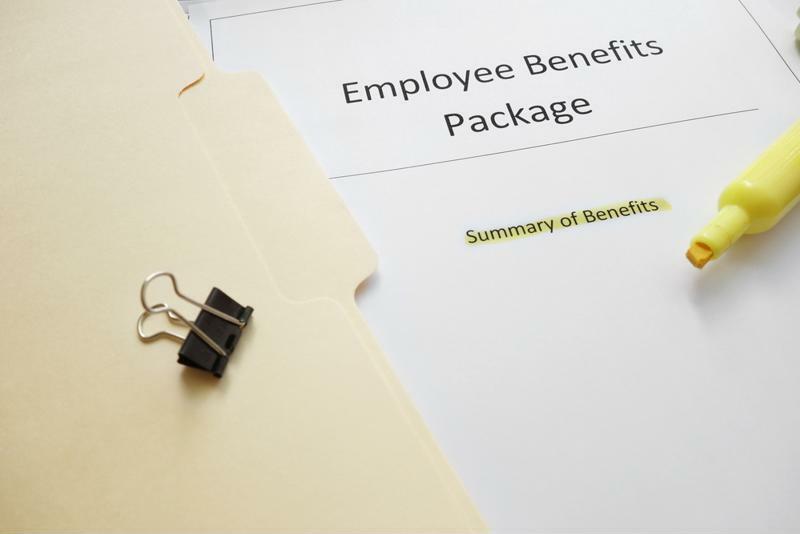 "The number of benefits employers are offering is consistent with recent years," said Evren Esen, SHRM survey program director. "However, employers are always looking for new and innovative benefits that are cost-effective and best fit their workforce." Global Financial Distributors specialize in the planning sphere, both for individuals and businesses. If your business owner client is looking to tap into specialized product offerings to stay competitive, you may want to introduce them to some of the features we offer, including Leveraged Planning® Solutions for business and personal planning. For more specifics, talk with a GFD Services manager who will fill you in.